TIPS (Training for Intervention ProcedureS) is the global leader in education and training for the responsible service, sale, and consumption of alcohol. Our TIPS Alcohol website offers online TIPS alcohol training for both on and off premise needs as well as for those in the casino gaming industry. You may visit the TIPS On-Premise course page if you work in a bar or restaurant, the TIPS Off-Premise course page if you work in a liquor, grocery or convenience store or the TIPS Gaming-course page if you work in a casino, riverboat, cruise ship or gaming establishment. The course pages answer specific questions about the TIPS course in your industry. Please Be Sure to Click on the Correct Course For Your Establishment! Our online on-premise version of TIPS Alcohol Certification is valid or accepted for use in bars and restaurants in 44 states. Alabama, Alaska, Arizona, Arkansas, California, Colorado, Connecticut, Florida, Georgia, Idaho, Illinois Basset Approved, Indiana, Iowa, Kansas, Kentucky, Louisiana, Massachusetts, Michigan, Minnesota, Mississippi, Missouri, Montana, Nebraska, Nevada, New Hampshire, New Jersey, New York, North Carolina, North Dakota, Ohio, Oklahoma, Pennsylvania, Rhode Island, South Carolina, South Dakota, Utah, Vermont, Virginia, Washington State, Washington DC, West Virginia, Wisconsin and Wyoming. It is also accepted in US Territories such as Guam, Puerto Rico and Virgin Islands. Our TIPS Training Course is also approved by the city of Boise, Idaho Chief of Police for the new mandatory Alcohol Server Training in Boise. It is also accepted statewide in Idaho. Proven effective by third-party studies, TIPS is a skills-based, 100% online responsible alcohol training and certification program that is designed to prevent intoxication, underage drinking, and drunk driving by enhancing the fundamental "people skills" of servers, sellers and consumers of alcohol. TIPS gives individuals the knowledge and confidence they need to recognize potential alcohol-related problems and intervene to prevent alcohol-related tragedies. Training conducted through TIPS is implemented through a computer and served over the web. eTIPS Training is self-paced and can be administered at anytime. At the end of the session, participants complete a multiple-choice exam. Participants who pass the exam receive a certification card, valid for three years in most areas. In the online version, students may print their temporary certification immediately and receive their permanent certification in the mail within 7 to 14 days. Exams, grades and other relevant information are maintained online for review. Anyone who serves alcohol in a licensed establishment should take this training and receive their certification. TIPS certification is required my many bars and insurance companies. Enroll in our class by clicking on one of the three "Register for TIPS Online" buttons above. Print your TIPS certification card as proof of your online certification. 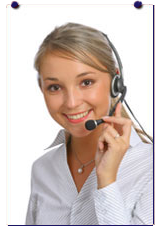 Receive your permanent certification by US mail in 7 to 10 business days. What this means to you as a liquor-serving employee is that you not only receive protection in the event of an alcohol-involved incident, but you will become more hireable by these quality companies since you will already be certified by the top alcohol service program that has over 3 million graduates over the last 20 years. We know you have a tough schedule and that's why we offer live telephone support to make sure you don't waste time if you're in need of technical assistance. ARLINGTON, Va., July 19th, 2017— Health Communications, Inc. (HCI) recently announced that it's On Premise eTIPS course for restaurants, bars, nightclubs and events has received approval by the Pennsylvania Liquor Control Board for it's RAMP seller server training. The Responsible Alcohol Management Program (RAMP) is a seller/server responsible alcohol service program for anyone who serves alcohol or checks ID in Pennsylvania. The course focuses on identifying fake ID's and watching for signs of intoxication in customers. You may now take your PA RAMP seller server training on this website by signing up from any page by seleting the "On Premise" red button and entering Pennsylvania as your work address. You will automatically be given the RAMP seller server course. ARLINGTON, Va., Oct. 9th, 2014— Health Communications, Inc. (HCI) recently launched eTIPS On Premise – Espanol, an online alcohol server training program for Spanish-speaking hospitality personnel. TIPS (Training for Intervention ProcedureS) is the premier responsible alcohol training program designed to prevent underage drinking, intoxication, and drunk driving. ARLINGTON, Va., Jan. 21, 2014 -- Health Communications, Inc. (HCI) today announced that eTIPS On Premise - Louisiana, was approved by the Louisiana Office of Alcohol and Tobacco Control (ATC). Louisiana law requires servers of alcohol to complete a Responsible Vendor (RV) class and obtain an RV Server Permit within 45 days of employment. With the ATC's approval of eTIPS On Premise - Louisiana, servers can now earn the required alcohol server training permits in an easy to learn, convenient online format. ARLINGTON, Va., Feb. 9, 2012 — Health Communications, Inc. (HCI) today announced that eTIPS On Premise, an online training and certification program for alcohol servers, was approved by the Washington State Liquor Control Board (WSLCB) as part of the state's Mandatory Alcohol Server Training (MAST) program. ARLINGTON, Va., Sept. 19, 2011 — Health Communications, Inc. (HCI), provider of the TIPS (Training for Intervention Procedures) Program, today announced the release of version 3.0 of the TIPS for Off Premise program. ARLINGTON, Va., Oct. 25, 2011 — Health Communications, Inc. (HCI) today unveiled TIPS for Gaming 2.0, an alcohol server training and certification program designed specifically for casinos, riverboats, and gambling centers. AArlington, Virginia – November 17, 2011 - Health Communications, Inc. (HCI) today announced that eTIPS On Premise, an online training and certification program for servers, was approved by the New York State Liquor Authority (NYSLA). 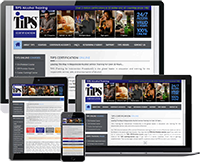 ARLINGTON, Va., Oct. 29 /PRNewswire/ -- Health Communications, Inc. (HCI) today announced that eTIPS, an online training and certification program for servers and sellers of alcohol, was approved by the District of Columbia's Alcohol Beverage Regulation Administration (ABRA). 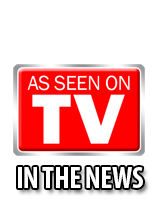 ARLINGTON, Va., June 10 /PRNewswire/ -- Health Communications, Inc. (HCI) today announced that eTIPS, an online training and certification program for bartenders and servers of alcohol, was certified by Rhode Island's Department of Mental Health, Retardation and Hospitals. Health Communications, Inc. (HCI) today announced that eTIPS, an online beverage server training and certification program for bartenders and servers of alcohol, was certified by Utah's Department of Human Services, Substance Abuse & Mental Health. ©National Hospitality Training LLC. 2009 - 2018 All rights reserved.